Getting strong digestion is a series of small steps you can take that will pay off in a major way for you in the long run. Want more energy? Greater life satisfaction? To feel good in your skin? It all starts with strong digestion. Getting strong digestion means that you actually break food down into nutrients you can absorb— which is the whole basis for energy, immunity, and long-term health. The worst advice I ever got! Hello everyone. Welcome. I'm Summer Bock. This is Guts And Glory. I want to answer some of the frequently asked questions that I get on Facebook as well as email. Here we have one from Lindsey Davis. Let's talk about digestion because really your digestive system is the most intimate interaction that you have with the environment. You are literally absorbing sunlight and bringing it into your body. I'm not joking. Sunlight hits plants, converts it into sugars inside the plant. The plant stores the sugars. We eat those sugars. It becomes us. It's crazy awesome. It's actually this really fascinating, very wonderful metaphor for your own ability to absorb and take in nourishment on all levels. Getting your digestion stronger, first and foremost you want to really look at some of that more emotional, mental stuff. How good are you at taking in nourishment, being receptive, taking in the things around you that are given to you? How well do you take a compliment? Just things like that. Notice, take inventory and see. That's just kind of like the mental, emotional field of it. Then some of the action steps that you can take to get regular, stronger digestion is taking bitters. Bitters is one of my absolute favorites. It's so bitter. It's good though. I know I don't look convincing when I say that. I love these bitters. These are my product. They're called Liver Lover Warming Bitters. We have Lauren from Wooden Spoon Herbs making these and mailing these out to you guys. You can find them at gutrebuilding.com/shop. Awesome place to go check this out and you can order a few months' supply. Or you can order some for your purse, some for your kitchen, bathroom, anywhere, your office. Wherever you need it, but take it before meals. This actually helps to stimulate your digestive enzymes and your gastric juices so that you're going to digest your food more fully. Getting your digestion stronger means that you actually break things down. You don't have visible food left over as it's being eliminated from your body. You want it broken down completely. Bitters is going to help with that. This is a very simple one. This one's like …You know when you go to a yoga class and they're like, “Destress, breathe.” You're like, “Awesome, and breathe,” like I'm breathing all the time. That's the worst advice I've ever been given. You know how that moment when you're just kind of annoyed, it's like too simple, it's annoying. You want something challenging, meaty, juicy. Well, I'm going to give you the most boring advice for getting your digestion to be stronger, but honestly, it's some of the most powerful advice. That is chewing. Chewing is kind of like breathing. Breathing and chewing really, absolutely, digesting your food in your mouth before it even gets into your stomach. Very, very important. It slows down the process of eating, too, which helps you in general. If you can slow down your meal intake from five minutes to twenty, or even to thirty or forty-five … Honestly, the slower you eat the better. I don't want you to eat for like ten hours or anything like that, but if you can have a slow meal where you get to breathe, eat, laugh, talk, set your fork down in-between bites, chew, swallow, feel it, feel it in your body before you take another bite. Those kinds of meals are the best way to have strong digestion, because you're just working with how the body was meant to work. Another tip for you is actually like stronger digestion, would be making food that is cooked slow at low temperatures and that is like, in some ways, pre-digested ahead of time. The fiber is broken down. It's been prepared in a way that your body can now absorb those vitamins and minerals really easily. A lot of people get hooked on this idea of doing a raw food diet and they feel like that might be the best thing for them. I have found in my clients, who are coming through my Gut Rebuilding Program, really I find, on a regular basis, that they do better with cooked foods. I think this is because they have a digestive impairment to begin with coming into the program. We want to build digestive fire by using foods that they can already absorb. That's why people do really well with smoothies and juices, because those are really easy to digest foods, but they're still nutrient dense. That's what you need. You need those nutrients to heal your body. All right, so that's just a few tips. There's really way more to go and we talk about those in the Gut Rebuilding Program. Feel free to check that out. I also have some video tips over at gutrebuilding.com. There's a lot of moving parts. When I work with clients individually or in my group setting, we figure out with people what's the part of the puzzle that's missing for them. A lot of times people are missing something. There's all these little moving parts and it might sound so easy that how could chewing solve all your problems. Well, it can actually solve a lot of your problems, but really you have to ask yourself underneath that. What would allow you to have the time to sit down and chew and enjoy a meal with other people that you love, and be laughing and enjoying yourself? How do you do that? That's the real question. If you're doing that and you're chewing your food, you're living a good life, you're body's going to be much healthier. If you're one of those people who just can't figure out how to make the time to chew your food or you feel bored while you're doing it, your life is not exciting enough for yourself. Your brain is getting bored. You need to liven it up a little bit around mealtime and figure out what that means, whether you're making foods that taste delicious, spicier. Maybe you're adding more herbs to your meals to really make it excite your tongue a little bit more. Or you bring in some good friends or you start eating with your co-workers, or you make it a point to sit down and have meals with your family. Whatever it is, I just want to make sure that you're enjoying those meals. This makes a huge impact on digestion. Then you'll see in other episodes I talk about stress. Stress is a digestion killer. It really is. The less stress that you can have in your life, the better, obviously. I'll leave that for another episode. Alright, everyone, thanks so much for listening and I hope, Lindsey Davis, that that helps you with your journey for digestive strength. Alright, everyone, Summer Bock signing out. I'm curious to hear about which step you're committed to taking action on first. 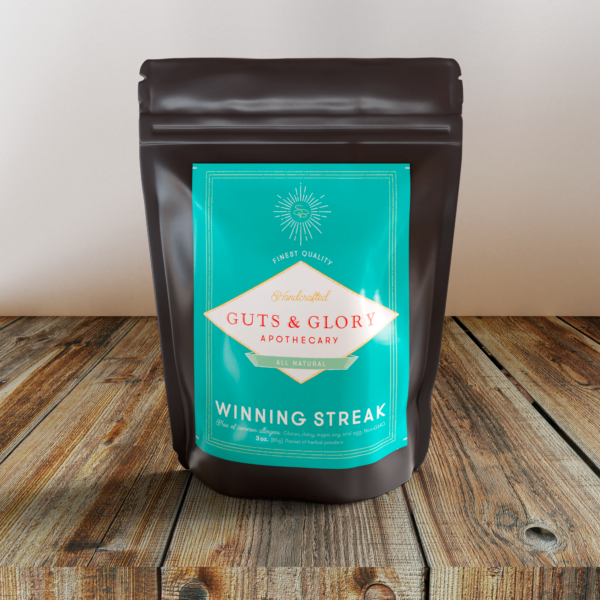 Leave a comment below or join the discussion with my “strong digestion” tribe in our Guts & Glory Facebook group and let us know what you're working on.